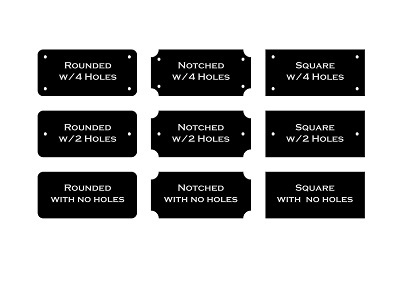 These solid aluminum engraving plates are designed to be laser engraved showing a brilliant silver color engraving. Material thickness; black on aluminum .50mm / .020". Black on aluminum plates will display engraved letters in a silver color.